A particularly zealous reader may recall that in my recent piece on the fossil record I raised a question, in passing: “…as an exercise, can you say what in Neodarwinian theory precludes a cyclical, rather than linear and branching, evolutionary process?” Despite claims like Koonin’s (2009) that there is no tendency to greater complexity in evolution, the most basic finding of palaeontology is the overall trajectory from simple (if that word means anything in biology) single celled organisms to, well, humans, or at least higher life-forms. Whether one calls it progress or not, what is undeniable is that it is a trajectory, or rather a branching series of trajectories, which is why it fits into the nested heirarchy model. On the face of it, Darwin’s theory doesn’t necessarily predict this overall picture. The environment, after all, has a relatively limited number of parameters. It gets colder, say, and randomly varying species adapt by natural selection. It gets warmer again, and there seems no overwhelming reason why the original variant – already found once in morphospace – should not be preferred and evolution cycle back to more or less where it was before. This would be congruent with the finding that the vast majority of advantageous mutations actually observed have involved loss of function, not new function. So what provides the “ratchet” that has given life’s history its perceived progression, despite the interruptions of mass extinctions and the more or less unpredictable cycle of overall conditions? The essay I linked to in the previous post has some useful pointers, the one that emerged in the last piece being the overall reliability of the fossil record – there do not appear to be pre-cambrian rabbits awaiting discovery. The question of mathematics vs. basic observations does not arise for vertebrates, since a logistic curve, or series of logistic curves, would be hard to fit to the known patterns of diversification of fishes or tetrapods (Figs 2, 5). The patterns as a whole suggest expansion, and especially rapid expansion over the past 50-100 Myr, the part of the fossil record that is probably better known and better dated than earlier segments. Benton (1996a, b) has carried out a comprehensive census of all 840 families of tetrapods that have a fossil record, and which include more than a single species. He found that 13% of familial origins could be (but need not be) explained by competitive interaction with a pre-existing family on a reasonable estimate. Even using a maximal estimate of possible competitive interactions, where it was assumed that the fossil record was extraordinarily incomplete, the proportion of familial originations that were candidate competitive replacements (CCRs) rose to 26%. In a plot of CCRs (Fig. 7), the distributions of peaks appears to be largely random with respect to time. There is no evidence for a rise in CCRs in the late Palaeozoic or the late Cenozoic, and hence no suggestion that tetrapod niches were filling up at either of those times. This is evidence against a logistic model of diversity increase. Intuitive observations of the fossil record of vertebrates confirm the idea of continuing expansion based on evolutionary innovation. The bursts of radiation among fishes, for example (Fig. 2a), may be related to specific new adaptations, such as extensive armour in ostracoderm agnathans and placoderms in the late Silurian and Devonian, jaws in placoderms and acanthodians in the Devonian, increased swimming speeds and efficiency of jaws in Jurassic bony fishes (and especially the teleosts), expansion of trophic levels in the sea (especially the modern sharks, Neoselachii), adaptations to feeding on specific foods (such as plankton, corals, buried bivalves and echinoderms), and parasitic modes. The implications of exponential, rather than logistic, curves of increase in diversity are profound (Benton, 1997b, c; Fig. 6 herein). 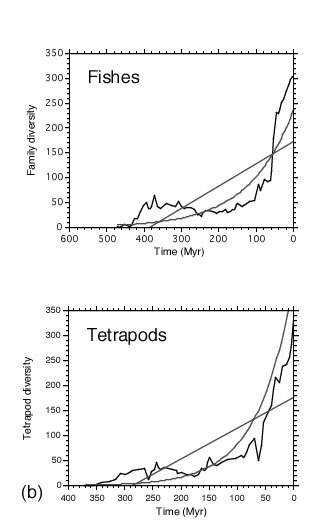 An exponential curve, allowing for the temporary reverses caused by extinction events, implies that there is no limit to the global diversity that can be achieved, or at least that vertebrates (or life on land, or all life) have yet to approach that maximum global carrying capacity for life. Another paper, describes how diversification is not a universal property of taxa. Groups that initially show great diversification have a tendency to “run out of steam” and reduce their diversity (as, for example, in the case of the agnatha in the spindle diagram above), or even more commonly after mass extinctions, when typically new groups begin to diversify at the expense of previously dominant types (such as the rise of dinosaurs after the Permian extinction, and of the birds and mammals after the KT event). Although one could look for detailed explanations for this phenomenon, such as “overspecialisation” (a litle hard to define objectively, I should think), it’s one of those unnoticed mysteries that there always seems to have been an up-and-coming group that has retained the propensity to diversify apparently without limit whilst the dominant types were losing it. One would suppose that life as a whole might have easily have run itself into the ground in the same way and, and evolution gone back to basics or reached stasis, or gradual decline. It’s also, on consideration, odd that this “relay race” of diversification continues to follow the observed trajectory towards greater sophistication, if not complexity, especially given the suggestion that there were plenty of “niches” to go round. Mammals did not “out-compete” reptiles in the Tertiary, but simply had a capacity for diversification which, it seems, the once inventive reptile groups had lost. Ratchets are teleological devices. On the small scale, natural selection is a good ratchet to optimise adaptation to the environment. If Darwin’s “apple barrel” competition model obtained throughout the history of life, natural selection would also make a plausible mechanism for the “progressive” trajectory of life, which was certainly the teleological element in Darwin’s own worldview. But if Benton’s assessment is correct, there is another ratchet built into the large-scale process of evolution, which does not depend primarily on selection, but on the nature of variation. Even more mysteriously, it appears to be a ratchet that operates across different taxonomic groups at different times, yet still producing the sense of overall direction that Darwin found so compelling, and which most biologists take for granted. On the models permitted within the “consensus” view of evolution, what doesn’t occur by selection occurs by neutral drift. Methinks there may be dragons hidden in that neutrality. Whaddya know – the same day I post this, I read this. By this man. Must be another hyperskeptic, I guess. Don’t get too excited….as far as I know, one of his main contributions has been to show (contra some common ID or anti-evolution arguments) that functional proteins form closely-spaced networks in sequence space, thus refuting one of the most common objections to the ability of naturalistic evolution to produce the novelty and diversity of present-day life. However, I have not read this new book, apart from a disappointing excerpt posted a week or two ago on the Friendly Atheist website. That wouldn’t be a problem to me at all, Lou, if it’s a genuine explanation rather than wishful thinking. But his book seems to suggest something more than “proteins are easy”. I’ll put it on the list. Regarding a biological protein space within a near-infinite total protein space, it would become a fine-tuning issue, of course. The question is why there should be such a space. Maybe all that is needed is approximate continuity of physical forces at some scale. That would hardly be an impressive instance of fine-tuning. Sounds like I guessed right about the main theme in my comment above about proteins forming a densely interconnected network in sequence space. I suppose one “ratchet” promoting progressive increases in complexity is the increase in oxygen in the atmosphere over time. This would permit novel multicellular innovations, since distribution of oxygen in big multicellular organisms is a real challenge. It’s possible – but then one has to explain the trajectory towards big multicellular organisms making it necessary. And why more primitive cardiovascular/respiratory systems can continue to coexist competitively. And why, the particular solutions for groups (eg insects, reptiles, birds, mammals) having been found and optimized back in the day, they continue to diversify. I take it you’re not amongst those who think atmospheric oxygen was maximal in the carboniferous? I don’t know much about that debate, but even if it were, evolution takes time. I wouldn’t expect multicellular complexity to track changing oxygen levels exactly. Why are more basal cardiovascular systems still competitive? Because there are many advantages to being small and conserving energy. As you say, the bigger more complex and energy-intensive organisms are usually not competing directly with these but are more often exploiting new niches, and their numbers are negligible in relation to those of simpler organisms like insects, and these in turn are negligible in relation to single-cell life. My post was written on the supposition of “oxygen” as the big ratchet. Hence my first point – big animals have vascular problems, but who needs big animals, which is the trend requiring explanation? It’s been suggested that Carboniferous giant insects couldn’t live now because oxygen saturation is lower, but that chsange isn’t obvious in tetrapods. But again, assuming that oxygen to be “the ratchet”, it must continue to operate long-term, or evolution won’t be slow, but non existent. Why would evolution not track what the ratchet is doing, if it’s the controlling factor? The solution is to say that oxygen might be one factor amongst many, but that complication only raises the original question: why should a whole concert of changing causes unite to give a logical trajectory right across geological time? In the end the same facts will be interpreted in opposite ways by Epicurus and Plato. But I think it’s still worth raising them. But you gave a plausible answer yourself. Unoccupied niches. Also, it is worth remembering that you are viewing the history of life through anthropocentric spectacles. Big animals are a tiny minority of the living things on this planet, both in terms of number of individuals and diversity. The major trends in evolution would be found by looking at how the little things have changed over time. This is typical spin from those who adopt the dogma of Darwinism – we show that established science casts grave doubts on the adequacy of evolution as broadly preached by atheists, and particular show inadequacies in neo-Darwinian thinking, and how it constantly goes modifications, but never doubt by advocates. The onus, for those who value rigorous intellectual effort, and who propose and insist their Darwinian dogma is a fact of science, is to show how they can overcome the obvious problems faced by their theory. There is not a single mention of external intervention by us – our position theologically is that God is the Creator and this gives our understanding of science direction and meaning. Conflating this as you do with discussions regarding specific problems science throw up to Darwin’s outlook, Lou, is grossly dishonest. The “fact of science” we insist on is common descent. We are still quite open about the details of the mechanisms that produced the observed changes over time. If there is intellectual dishonesty here, it is in those who deny common descent on the basis of their religious beliefs. I am not sure, but that may include you. Jon does not deny common descent in this post. But he does hold a vague theory of evolution that, he implies, explains the observed data better than the standard theory. I’d like to see if it really does make testable predictions that are more accurate than those of the standard theory. Until someone makes a solid case for at least parity between the predictive power of standard theory and that of whatever Jon’s theory is, there will be no reason to take these kinds of theories seriously—unless someone can prove that the standard theory and its naturalistic extensions really do have some fatal flaw. You certainly haven’t shown anything of the kind, though. In your final response to GD above, you refer to “standard theory.” There is a problem in your vocabulary here. Who holds to “standard theory” anyway? Lynn Margulis certainly didn’t, and said so loudly at every opportunity. Gould opposed some aspects of “standard theory” in his day. Shapiro doesn’t see himself as in line with “standard theory” and many of the Altenberg group (e.g., Stuart Newman, Gunter Wagner) have challenged aspects of “standard theory”. Larry Moran (who purports to be an evolutionary expert on his blog site, despite the absence of any peer-reviewed publications in the field for well over ten years now) openly disagrees with other evolutionary biologists about important matters. The relative importance of things like drift, selection, random mutation, etc. varies tremendously from evolutionary biologist to evolutionary biologist. Could you please point us to three or four well-recognized evolutionary biologists, alive and working today, who hold to “standard theory”? And could you define, in a few sentences or paragraphs, what “standard theory” is supposed to hold? Until I know what you mean by “standard theory,” I have trouble knowing how to respond to your claims. I don’t know whether the phrase means any more than “Lou’s theory,” and I’m not sure exactly what “Lou’s theory” is — other than random mutations plus natural selection plus drift (with no precise weighting of which of those factors is more important, thus allowing for all kinds of wiggle room to explain unexpected evolutionary outcomes) plus whatever other mechanisms anyone proposes that could buttress the determination to find a wholly naturalistic explanation of all evolutionary change. I find the same problem when people talk about “standard theory” in cosmology. What I find, when I read the popular science articles on cosmology, is that cosmologists violently disagree on all kinds of non-trivial matters. Every year a new announcement appears saying that cosmologists will have to re-think this or that, based on some new measurement or some new mathematical model that someone has come up with. Are multiverses now part of “standard theory”? They weren’t in Lemaitre’s day. Is “inflation” part of “standard theory”? If so, who decided that? A vote of the majority of cosmologists at Ivy League schools, as some scientific convention? Is the “quantum vacuum” (which in the deranged fantasy of Hawking, gives us universes for free) part of “standard theory”? When was that decided? It seems to me that “standard theory” is more a political expression than an intellectual one. It is a whip used to coerce dissidents to get into line with some vague consensus that someone feels ought to exist, when in fact the theoretical field is considerably messier. This is why I vastly prefer terms such as “neo-Darwinism” or “neutral theory” because they can be pinned down to the writings of particular people, e.g., Dobzhansky or Kimura. “Standard theory” is an elusive will-o-the-wisp that is everywhere and nowhere, a vague synthesis of everybody’s theory that is no one’s theory in particular. But if I’m wrong, you should have no trouble defining “standard theory” and naming for me three of its leading proponents today. 1. Organisms show heritable molecular and phenotypic variation of a kind which does not magically foresee the future. 2. Most molecular variation is neutral or nearly so. 3. Most phenotypic adaptation is due to natural selection. 4. Neutral processes can cause non-adaptive traits to increase, so that evolution is not necessarily a continuous monotonic climb up fitness gradients. The conditions for this non-adaptive evolution can be specified with great precision in terms of fitness and population size by Kimura’s equations. 5. All higher organisms derive from a single common ancestor, but there is also some horizontal gene flow (especially in prokaryotes). Maybe I’ve overlooked some points, but that seems to cover what most evolutionary biologists (not just four or five) would agree to. It is enough to make many general predictions. This is the type of spin and nonsense characteristic of you Lou. My comment was on your notion of the ‘onus’ – now you wonder of into anything except the point under discussion. Again your ability to shirk the issue and indulge in conflating any and every topic comes through. I have given references to those you and others regard as your ideological allies, who have discussed at length alternative ideas that you put under the umbrella of ‘common descent’. You have failed to even comment on these and instead wonder of into your anti-religious rants. As to my outlook, what can I say – we have found the modern day examiner and interrogator of all of those who may view Darwinian thinking as less than adequate. The new atheist defender of their odd faith that is the absence of faith. Any scientist who values his intellectual honesty, and indeed his science, would willingly admit that if there are numerous, and at times conflicting accounts of some or any type of theory or theoretical framework, then this should be viewed with scepticism. Anything less puts such an outlook outside of good science and into the realm of ideology. You Lou, are out and out an ideologue. Let me get this straight. Are you saying I am an ideologue for thinking that the question of common descent (at least for higher creatures) has been decided in the affirmative? 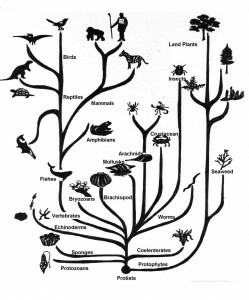 Very well, perhaps you will get this right – there are at least three views that are placed under the odd label ‘common descent’: (a) Darwin’s tree of life, (b) universal common ancestor (which raises many, many, questions regarding the early life forms that are opposed by anaerobic vs aerobic conditions for life, which is settled science), and (c) the forest of life ancestry, which seems to acknowledge a type of ‘non-crossing’ of species (whatever that may mean). So, as you seem to have given yourself a type of apostolic authority over the physical sciences, and the direct bearer of Darwin’s revelations, why not at least acknowledge that there are various views on just about every aspect of Darwinian thinking that I have come across, and your tiresome references to common descent is just one such example. THIS is termed SPECULATIVE SCIENCE, and NOT SETTLED SCIENCE. But of course you will inevitably get back to your rant about religions etc etc etc. As you can see in the famous closing words of the Origin of Species, Darwin didn’t specify the number of common ancestors; he recognized the limitations of his data. Now that we can sequence genomes, we do know that at least the extant vertebrates all descend from a single common ancestor. Most other higher groups are also now known to be descended from a single common ancester. Occasional horizontal gene transfer does not negate this. If you think that common descent of higher organisms is “speculative science”, then you are the ideologue. I’d love to see even one published peer-reviewed scientific article in a journal from any field (including the physical sciences) arguing convincingly against common descent of vertebrates. Can you provide even a single one? As I have said before regarding your comments Lou, you will always look for conflict in these useless exchanges – my point has not been to create for and against camps to suit outlooks of aggressive atheists – I have consistently made the point that Darwinian thinking is speculative and not a “fact of science”. If people subscribe to Darwin, that is a matter of choice, just as we all need to decide on various things. That however, is belief – my point has yet to be refuted, in that there are various opinions put forward by various people working in this field, and these opinions cannot all be correct. I have pointed out matters that are directly in contradiction of thermodynamics (re lack of oxygen); you simply go of in the land of “the fairies) and what have you, instead of addressing science itself. And of course your so called science that ‘convinces’ you, speaks directly to your jaundiced views. Science is not, and should not be, about who can sell an idea (like a used car), but about ways that we examine things, which means accepting doubt and speculation as just that. Once the science is settled, no-one will look for salesmen to convince anyone. You should look up the various arguments I have mentioned on your so called common descent, and then provide a considered review of these outlooks – you cannot cherry pick whatever suits your ideology and then preach to the world. Who knows, maybe soon someone in the sciences will provide a convincing theory regarding origins of life and the diversity of the bio-world. Such a person would not need a propaganda war to make his/her point. Science will be sufficient – settled science, not more speculation. And ALL of us should (and would) welcome that day – but it is not today. All I asked for was a single convincing article arguing that common descent of vertebrates was incorrect or even uncertain. You could not provide it. “All I did was point you to uncertainties regarding Darwinian thinking, and indulged you in you weird changes by pointing out the various opinions on your current fixation. Any scientist would have stayed on the point I made and provide refutations or shown weaknesses in my comments. You failed to do address my points and instead indulge in you nonsense of changing the subject. It is pointless having discussions with you. I haven’t changed the subject. I am pointing out that there is virtually no uncertainty about the common descent of higher organisms. You are wrong to imply that there are. Multiple independent lines of evidence establish it. It has become a scientific fact. Even most religious scientists who disagree with Darwinian evolution still accept common descent of higher organisms (including humans). Behe, Denton, and most commenters and posters on this blog are good examples. Yes, there are some fringe creationists who disagree. If you think they make good points, please enlighten Behe, Denton, and the rest of the world’s scientists by discussing their arguments. I will persevere – I have pointed out three views related to your fixation with common descent – you failed to address any one of these. I pointed out that origin(s) of life are as important to these arguments, as we all acknowledge the commonality of carbon based life entities – you ignore the central issues on these. I try to get you back to the original point of these discussions, which is that established science does not support notions put forward by some regarding (the most abundant life forms) pre-cell organisms, and the need to understand what conditions are needed to even sustain life on early earth, let alone show how it may have arisen – again I emphasise not what some may want to believe, BUT what we can glean from established science. Any one of these points may lead to an interesting discussion – instead you decide to get back to your hobby horse of the various odd beliefs and conflicts that you find amongst various ideologies. Most (in fact all that I have come across) do not follow orthodox/Patristic teachings – so I am flabbergasted at the way you are fixated on such irrelevant areas. If Darwinian thinking is supported by established science, just point this out! If not, accept the obvious that it is mostly speculative – it is not a “sin” to admit as much. No one claims to know the origin of life. I agree with you that there is uncertainty about a single origin for the most ancient forms of life. That is not the point I was disagreeing with very narrow. 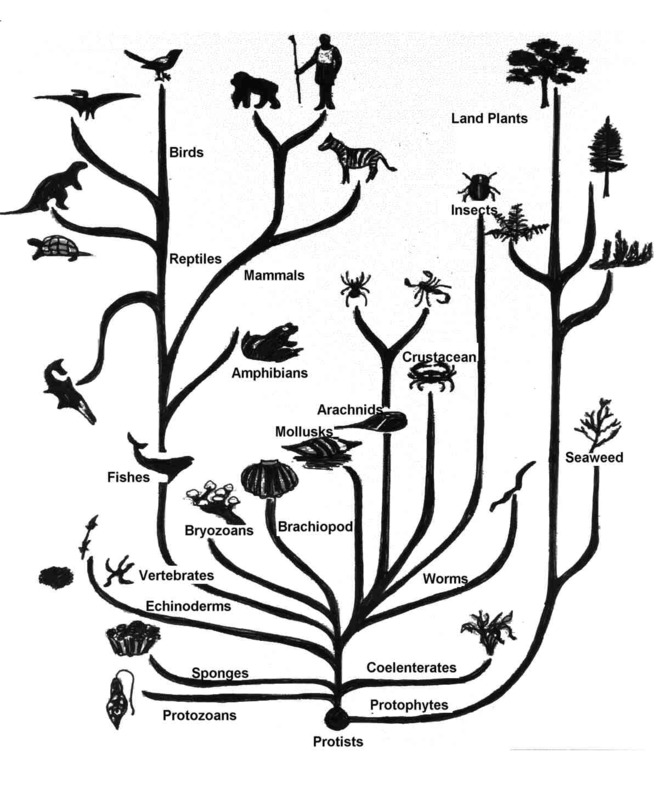 My claim was that common descent of higher organisms (including humans) is a fact of science. You seem to think this is also uncertain. But you can’t point to any scientific articles explaining why this is uncertain, nor can you give any arguments of your own on the issue. I remember once on Biologos you used a paper (I think it may have been by Andreas Wagner, the guy Jon mentions in his first comment above, ironically enough) to imply there was doubt about common descent of higher organisms, but I showed the paper actually came to the opposite conclusion and demonstrated concordance of several lines of evidence (karyotypic and genomic) confirming common descent. 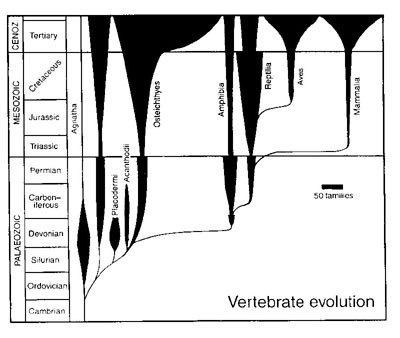 If you have found a more relevant scientific paper now that actually does criticize the conclusion of common descent of higher organisms (vertebrates, for instance), let’s see it. Then we can discuss the issue properly. Or, if I have misunderstood you and you actually agree that higher organisms did descend from a common ancestor, it would be nice if you would just say so directly. My point was to show that various notions necessary for your ideas that you clump under the umbrella of Darwinian evolution are contradicted by established science. You clearly avoid any discussion on this. What you seem to be referring to is the schema of species classification, that is pre-Darwinian, which seeks to draw connections between broad classifications – this seems to me to be an ‘up-side’ version of your schema that claims some sort of descent, with all species presumably observed and classified according to this schema. On this matter, the paper I referred to discussed the definition of species, and a suggestion in there that perhaps the definition of species may need to be modified – I then read into this, the implication that the modification was needed to make the inference of descent appear conclusive. You obviously did not bother reading what I had poste, in your haste to say nasty things about the Christian faith. I didn’t even mention Christianity in my responses to you here. And yes, I am avoiding an origin-of-life discussion because our disagreement is about the common descent of higher organisms. Contrary to your statement here, the argument about common descent has nothing to do with definitions of species–common descent can be framed as a relationship among individuals rather than species, if you prefer. You are your father’s son whether you and your brothers and sisters carry his family name or not. The rules for assigning family names are irrelevant to the actual path of descent. Similarly for species names. You are avoiding constantly my major point, in that your version of bio-life (be it belief, or speculation, or a universal common ancestor) when taken to fundamentals often is contradicted by established science. My comment regarding Christianity was to your many previous posts, which you now conveniently forget, and which often wondered of topic and into anti-Christian nonsense. “common descent can be framed as a relationship among individuals rather than species” once gain, vacuous nonsense placed under an “authority of science” cover. My point constantly has been NOT the commonality of bio-life, but one of species descending from identified and well defined previous species. I referred to another paper which showed that using your own assumptions of population growth, it was just as easy to fit ALL available data in the model (that that is genuinely tested) to a single pair of humans going back 6000 years. Before you go off in a rant again, this is a simple counter argument – thus in science, if available data fits two counter arguments, then the subject is termed speculation – not one side is right and the other wrong. I am feeling intellectually exhausted trying to make sense of you posts, so this I will stop here. Yes, this is a good place to stop, as you’ve finally shown your true colors. Those two humans 6000 years ago must have been very hard workers, burying thousands of artifacts in Egypt (dated >6000 years ago), then trotting off to Mesopotamia to bury more ancient pottery, canals, etc (also dated >6000 years ago), then burying artifacts and making pictographs in China (dated >6000 years ago), then crossing the Pacific to hide tons of pottery and stone implements in North and South America, etc. Lucky they lived to be 900 years old so they could do all that stuff. But even if all that were true, and there had been a bottleneck of two people six thousand years ago, that is no argument against common descent, which relies on the concordance of genotypic, karyotypic, biogeographic, and fossil evidence that you simply ignore. There’s a fairy tale about the moon being made of green cheese. There is also geological, astronomical, and physical evidence that it is not made of cheese. By your standards this would still be an unsettled question for science. This has to be one of the most pompous, self-referential posts even for you Lou. You are so blinded by your ideological waring mentality that you fail to even consider the point of a paper published in one of the top journals in your field. By your silly notions, the author(s) of the paper also finally show their true colours (whatever such silly rhetoric means), in that they do not agree with your nonsense – how close minded can you get – they did not pretend archeologically artefacts do not exist, nor claim that their model was negated any other model. If you had the courage and decency to look through the paper, you would have seen the data was all that can be obtained from records, history, archaeology – and in fact far more data than the modelling you rely on. Their point was to show that this type of modelling is not the last word, and the data can be used to obtain different conclusions. I cannot see how you can claim to be a scientist if you are so dismissive of other peoples work. But wasting my time with you really is annoying. But the available data does not fit both models. The available data shows that there was a large human population dispersed around the globe 6000 years ago. And like I said, even if the population size 6000 years ago really was 2 people, that would have no bearing on the evidence for common descent, so your “counter-argument” is not only false but irrelevant. Why not surprise everyone (esp myself) by finding this paper and reading it first – then you may have something interesting to say. Why not put the link up so that we could check? Can you at least give us a hint? Maybe the author’s last name?? Maybe the journal? ancestry of all living humans”, in NATURE, VOL 431, 30 SEPTEMBER 2004. Thanks for actually giving us the citation. They define the “common ancestor” as an individual who has contributed some DNA to all living humans. This does not mean that this common ancestor generated the entire human population. So the paper does not say that today’s human population could have all arisen from two people six thousand years ago. Instead, it says that someone who lived a few thousand years ago has gotten bits of his or her DNA into everybody’s genomes. That’s an important difference. In fact, in its population model, the paper assumes the population at the time of this “most recent common ancestor” was 250 million people, not two! And again, I’ll repeat that this has no bearing on the issue of common descent. You still haven’t given us any reason to doubt the common descent of vertebrates, including humans. So much for a civil conversation with you. Your ability to skirt the issue and turn every comment to suit some idiotic assumptions that have taken possession of your senses that is typical of a blind dialogue – your intellect is suspect my friend. This paper clearly shows that the type of modelling adopted can give the results they postulate. It is you who are blind to this and intellectually inapt – my grasp of English has never been in doubt – you capacity for intellectual honesty and clarity has been constantly exposed for the sham that it is. Fyi, no orthodox Christian has ever stated, or believed, that there were no people before Adam and Eve – it is your utter disregard for knowledge that makes you try to “show other people their true colours” as you so contemptibly state it. It is obvious that your past experiences with extra-terrestrial matter and superstitions has warped your outlook. It is clear to me that it is pointless discussing anything with you. Gentlemen, may I suggest that at this point, both of you have reached the stage of trying to demonstrate that the other is incapable of rational argument, rather than actually engaging in rational argument. It would perhaps be best, then, if each followed their own advice that further discussion on this thread is pointless. I’m not sure how the converation drifted to Adam’s place in common ancestry, but it may be of interest that I did some private thinking on the Rohde papers before I started the blog in early 2011 here. I also did a couple of posts on the long history (even before evolutionary theory) of non-Adamic man in Christian thinking here (and the relevant book by highly reputable author David Livingstone is on the booklist) and here. Agreed Jon. I also don’t know how the discussion drifted to this topic. I tried to keep it on the issue of whether common descent of higher animals is well-established. Let’s say, for the sake of argument, that a small Melanesian population of humans became established on an archipelago 30k years ago and remained isolated since then. Obviously none of them are descended from someone who lived elsewhere 3k years ago. Now imagine an Asian visits this group in the 1800s and mates with them, and his genes spread through the group. Now, under Rohde’s definition of MCRA, all these Melanesians suddenly have some genes from the Asian common ancestor of 3k years ago, and so they too are considered to have this Asian as their MRCA in spite of the fact that their grandparents had no recent Asian ancestors. So this definition of MRCA is not the one most people use, and I suspect it is not the one relevant to your thoughts about Adam or ensoulment. If it were, you’d have to say that these Melanesians did not have souls until they finally got the “souled” genes in the 1800s. Also, I suppose these Melanesians should not have suffered the supposed consequences of a “fall” until the 1800s since they did not descend from Adam until after that date. Hmm, I now read the whole pdf, and I see you probably haven’t misinterpreted Rohde et al. You seem to agree with the statements I made in my last paragraph (which I would have thought counted as a reductio ad absurdum of the concept). GD says he didn’t mean direct descent. But then what possible relevance could the paper have to our discussion about Darwinian evolution? Well, I ain’t going to embroil myself in arguing what GD might mean. But you’re right is surmising that I separate “descent” from “genetics” for the purposes of hypothesising on such possibilities. It has to be speculative, because there’s no way of knowing whether any such isolated populations truly have been isolated. But it does show there’s more to be said about the unity of humanity than many people seem to get from the Y-Adam and Mito-Eve themes (it’s not only Creationists who think that work says more than it actually does). I was interested recently in news items about discovering that there appear to both Polynesian and prehistoric South American genes in the Easter Island population, the latter quite contrary to expectation because it’s also contrary to wind and currents. It does seem folks have always liked travelling. Jon, could you give a link to that Easter Island report? It is interesting because of the ongoing controversy about connections between ancient south Asian and South American populations. I wonder if those authors took into account the possibility that the ancient South American genome they were using might have come partly from Asia in the first place…. In the vain hope that a rational may be extracted from the wildly varying comments made with and at Lou (and if I can make sense of it all), I recall that I was trying to make the broader point that much of the evidence used by Darwinian (their so called mountain of evidence), is not as rigorous as they claim. The accounting of populations and their spread, for example, can just as easily be modelled to indicate shorter time lines for population sizes. The other example I used was to critically look at the classification system used in biology, and note the sometimes controversial comments made regarding species. I have an interest in the broader picture and treatment of data in the Darwinian paradigm, not in evaluating anyone’s work – and I have concluded that scientifically much of it would be considered speculative and not settled. I am not interested in trying to pick apart any particular author or group. I think ideologues get hot under the collar because they become insecure in their dogmatic affirmation of Darwinian thinking, when I make my comments – with Lou he picks and chooses some topic for the sake of irrational exchanges, rather then stick to the point – of course he may simply disagree and the matter is left there, without further rancour. I disagree that the paper is saying anything about a shorter timeline for population sizes. It is about the spread of genetic material through a large, interconnected population. I will leave it at that without further rancour.